Go TEAM!! Whatever team you root for, this is the perfect outfit to cheer on your team!! The unique stitch pattern of the romper adds a great texture for any age. And it can be worn with or without the tutu. For little ones the pom pom’s are the perfect photo accessory, and for older children they look adorable tied into pigtails! 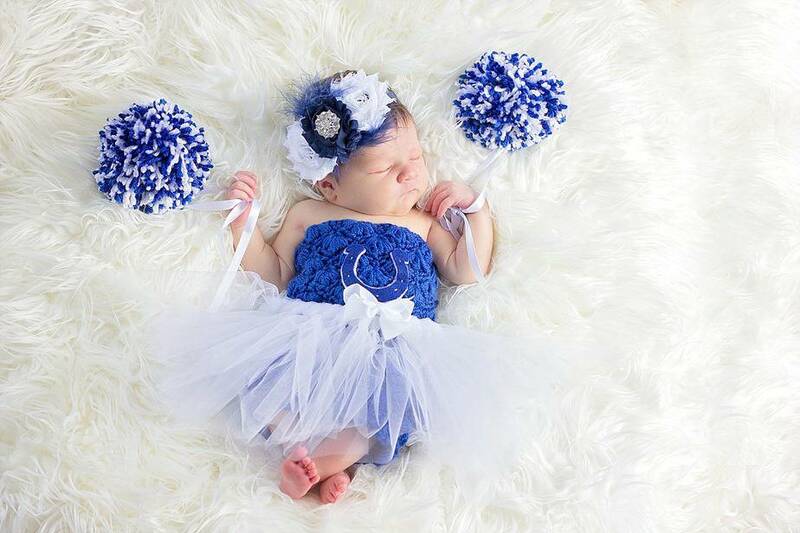 Simple color changes can customize this outfit for any sports team or theme. This pattern also includes a video link for the shell puff stitch for extra visual help.